UK Charity Launched App for Apple Watch! The Apple Watch have been released more than one and a half months ago, however, there have not been any applications created for the device by charities in the UK. The Royal National Lifeboat Institution is the first charity to create an app for fundraising purposes. Let’s see what they have planned to do in the next paragraph. If you have read (or just simply paid attention) to the introduction part of this article, you must have read that the Royal National Lifeboat Institution has created its own application for fundraising purposes to the Apple Watch. However, the question goes: what does this app contain and how would it be possible to gain funds by it for the charity? We will discuss this matter in this paragraph. 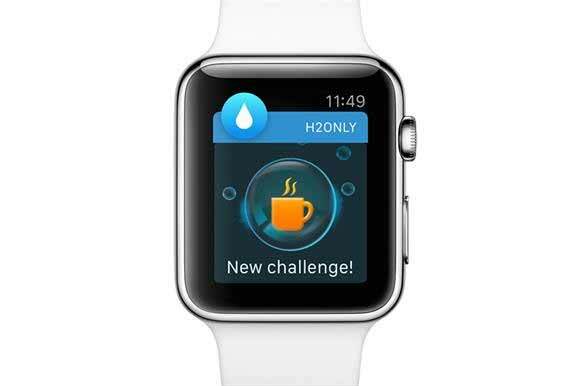 The application that has been created by the Royal National Lifeboat Institution goes by the name of H2Only. The app can be downloaded from the AppStore for free from today. The Royal National Lifeboat Institution has designed a pretty creative fundraising option in the application, which could seem quite weird for users that first see the program. Why do I say that? Let’s see why: the application’s goal is to set a challenge, which could be completed from June 2. The challenge is to not to drink any beverages or any kinds of drinks except water for at least 10 days. Of course, the application tracks whether if you are “cheating” (drinking anything except water) or you are completing your challenge successfully and going forward to the objective. The app can track this by the use of the Apple Watch’s sensors, since the device can measure and see if there is any kind of alcohol or any kinds of other fluids that are considered other than water in your body. If you have reached your 10 days goal that has been set by the Royal National Lifeboat Institution and have completed the challenged successfully (earliest at 12 June), then you can decide to take a photo and share the result at one of the social media websites. However, how would this affect the fundraising part of the Royal National Lifeboat Institution? How could the Royal National Lifeboat Institution raise funds by people that complete the H2Only challenge? It is pretty simple. The Royal National Lifeboat Institution has been always famous of its creative fundraising methods. The charity wants to raise money and attention by encouraging users that have already downloaded the app and have completed the challenge to share their results on social media surfaces. Why is this good? Since social media is pretty popular nowadays, if you share something most of your friends that you have, for example, on Facebook will see that thing. 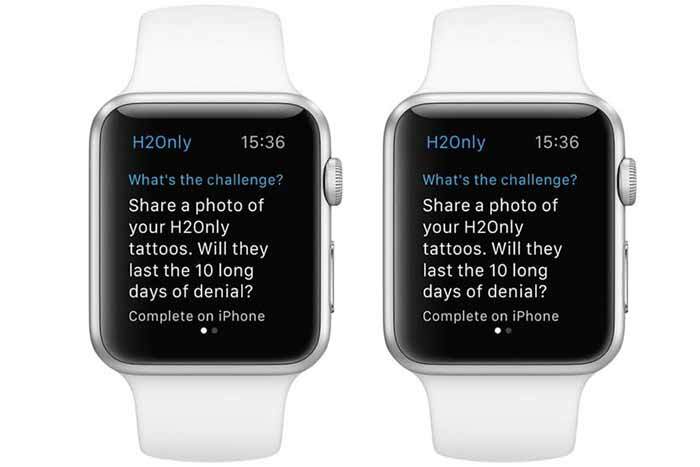 In the case of the H2Only app designed by the Royal National Lifeboat Institution, the friends of the users who have successfully participated and completed the challenge will see that the actual user has completed the challenge and most of them will be curious what application has their friend used to do so. This will not only make the app popular, but more people will know about the Royal National Lifeboat Institution, what they do and how they can donate funds to them. I think the H2Only app will be a very successful project and will raise tons of funds for the Royal National Lifeboat Institution. It is quite good to see a charity that has helped hundred thousands of people out from the water and saved their lives, raise funds successfully. You may Also Like: Apple Watch Versus Microsoft Band: Which One Is Best? Aria’s, Smartwatch that senses Gestures! 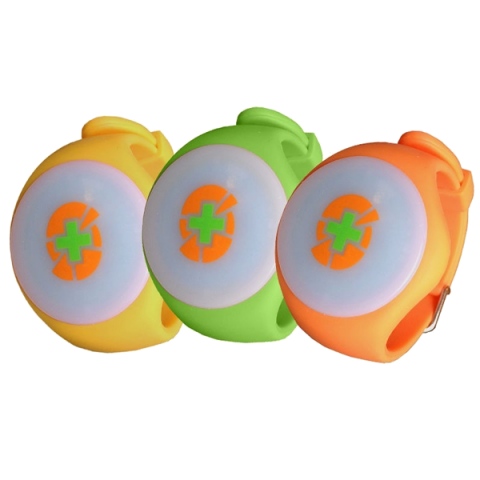 SQORD POWERPOD to Power up Good Kid Fitness!